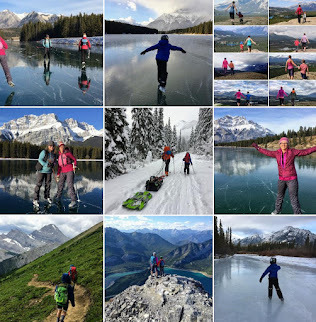 While there are many places to camp in Kananaskis, we've always loved Peter Lougheed Provincial Park for its hiking trails, bike paths, and lakes. 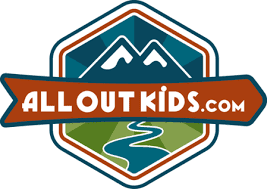 You can start the day off with a peaceful paddle across Upper or Lower Kananaskis Lake chasing loons and looking for bald eagles, take a family hike on one of the many short interpretive trails, and then wrap up the day with a bike ride on one of the paved trails that wind their way through the park. You could even do a combo-trip and bike or paddle from your campground to a nearby hiking trail. Most of the campgrounds in the park are located right on the paved bike paths and a few campgrounds even have water access right on the Lower Lake. Intrigued yet? We wrapped up our 2013 Summer Camping Project with nights 40 and 41 at Boulton Creek Campground. 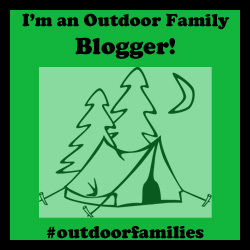 In summer we may have chosen a campground on the water such as the Lower Lake Campground, but for September, we just wanted to be close to the bike paths and have power in case we needed to plug a heater in. Our loop at Boulton Creek met that need with power and water at every site (read - NO generator noise), and it was a quick 5 minute bike ride (all downhill) to jump on the Wheeler Bike Trail heading towards the Elkwood Campground and Visitor Centre. We did some hiking while camping at Boulton Creek last weekend (which I'll cover in my next story) but the highlight at camp was the biking. 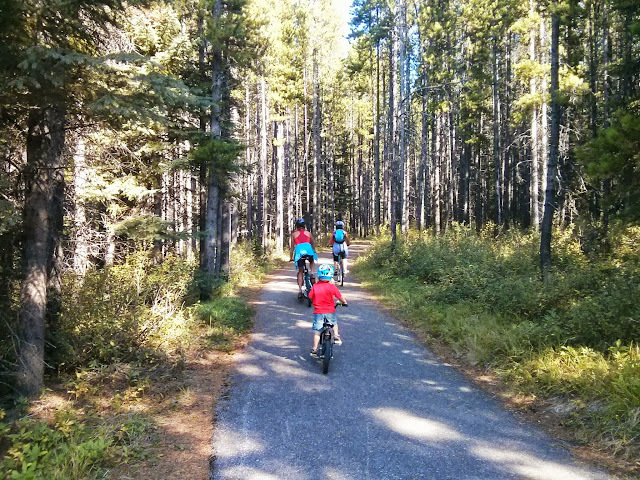 From our campground we jumped on the Wheeler Trail for a short late afternoon bike ride to Elkwood, 4.6km away. We arranged to have one of the dads in our group pick us up at the next campground because I suspected we would be doing a lot of downhill and we wanted to keep the ride short. While I've skied this trail in winter, I never fully realized before just how downhill it was! It was absolutely glorious and I barely had to pedal as we coasted down the gentle trail. We rode into Elkwood about 45 minutes later (preschool riding pace) and definitely knew we had to repeat the ride the next day. That night we started to brainstorm how we would put our plan into action. We decided to stick with the shuttle approach, riding downhill and getting picked up at the bottom. After all, if you had a willing partner or friend able to pick you up at the end of a downhill bike ride, you'd accept the offer right? 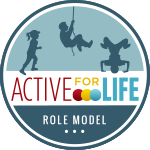 Especially if you were planning on doing the bike ride with 4 year old kids! Sunday morning we packed up our trailers, moved to the Boulton Creek Trading Post for temporary parking, and then started riding towards the Elkwood Campground again. A member of our group decided to play driver instead of biking, and met us at the Canyon Campground, approximately 8km away. It was a pretty sweet ride on the Wheeler and Lodgepole Trails, and 80% of it was downhill! There were a couple steep hills that we prayed to God the kids wouldn't bite it on, but most of it was gradual, gentle, and offered pretty relaxed riding. We rode on an official paved bike path the whole time and enjoyed the forest surroundings with occasional mountain views and benches to stop at. Family biking doesn't get much better than this! 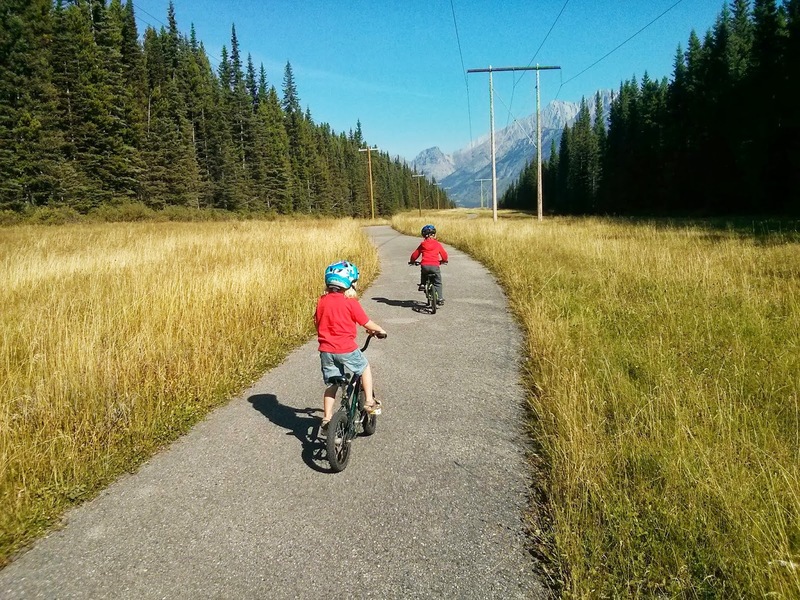 We now know we have found our favourite paved bike trails in Kananaskis and will definitely be back to camp and ride next summer. Next year we'll embrace the uphill sections on the Lakeside Bike Trail and do the full 12km distance from the Lower Lake Campground to Canyon. 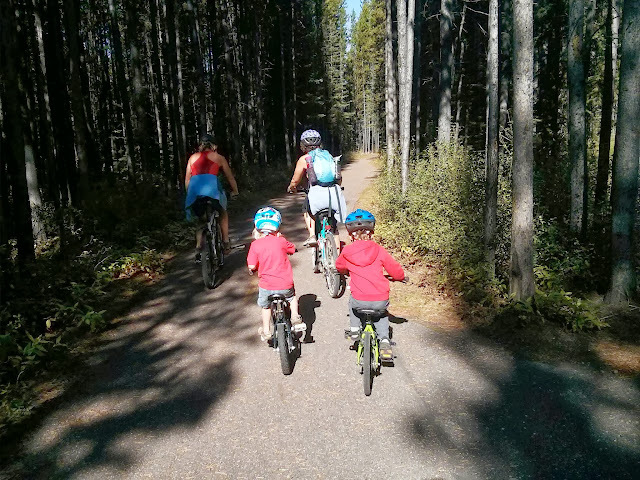 To read my giant summary of all the best bike trails in Kananaskis, read this story: The Best Family Bike Trails in Kananaskis.